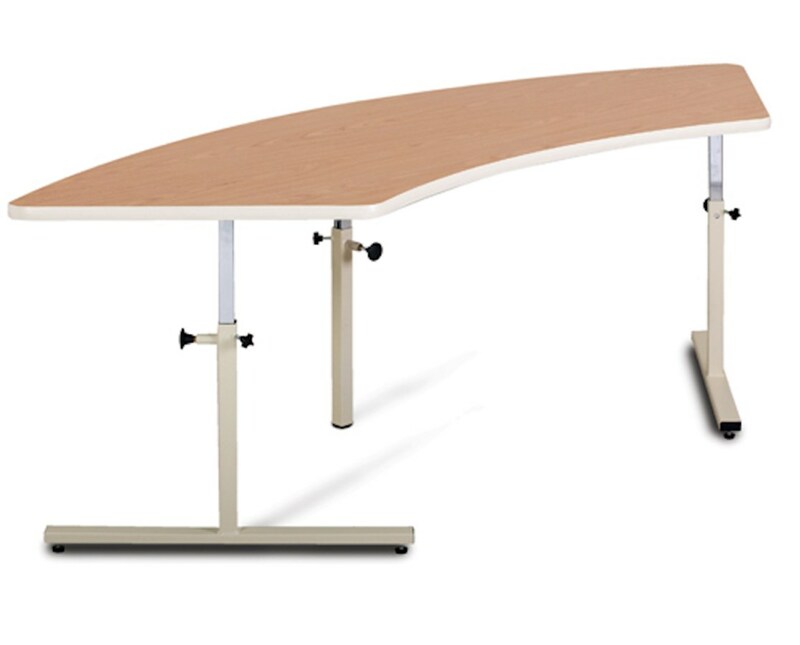 Height Adjustable from 22" to 33"
The Clinton Industries Quarter Round Work Activity Table is a well-designed and fully functional device designed to provide patients a specific work area for exercises and physical therapy tasks. These are great additions to any medical facility or physical therapy clinics. Robust Construction. 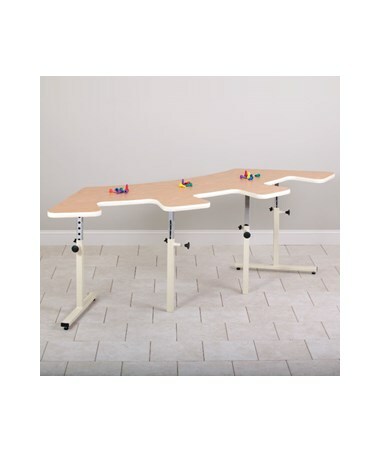 Made with a 1 1/8" all-laminate top, the Quarter Round Work Activity Table has a T-molding edge bumper and allows access to 4 wheelchairs or 4 people. 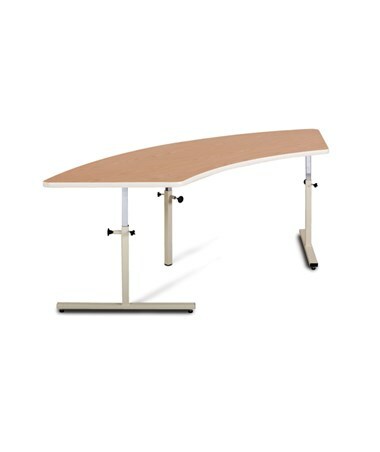 The table is mounted on a durable, powder-coated steel base with chrome and scratch-resistant telescoping uprights. Each upright has self-indexing, spring-loaded plungers with an easy-to-read numbered height indicator strip for quick and hassle-free height adjustability. Three Cutouts of 18" x 10"
Length (Inside Curve) of 46"
Length (Outside Curve) of 93"
Height Range of 22" - 33"